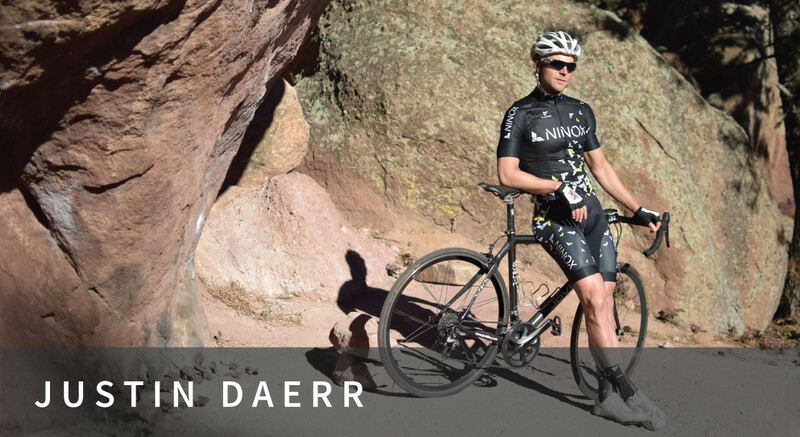 NINOX, a menswear label based in Boulder, CO, is sponsoring Justin Daerr for the 2015 Triathlon racing season. Unlike typical sponsors in the triathlon sport, NINOX is unique in that it is not making triathlon specific products. NINOX is making menswear that has all the functionality of technical sportswear, but in a sophisticated aesthetic. Boulder, Colorado, February 19, 2015	(Newswire.com) - NINOX announced today that it is the lead 2015 sponsor for the professional triathlete, Justin Daerr, winner of the 2014 IRONMAN Boulder. NINOX, based in Boulder, Colorado, produces men’s casual apparel. “NINOX is excited to partner with Justin Daerr for his 2015 season as a professional triathlete. We watched Justin win the Boulder IRONMAN last year, and after spending some time with Justin, we jumped at the chance to partner with him. As a professional athlete, Justin appreciates the technical materials we are using, as well as the high-level of craftsmanship of NINOX products” states Linda Casals, one of the co-founders of NINOX. As the 2015 lead sponsor for Daerr’s racing season, NINOX will be featuring highlights from Daerr’s training and racing season on the NINOX website and Daerr will help introduce NINOX’s spring and summer line of casual clothing. NINOX is also featured as a sponsor on the Endurance Corner website managed by Daerr at www.endurancecorner.com. “I am thrilled to have NINOX on board as a lead sponsor for this year’s racing season. NINOX is making casual clothing that is well-made with innovative fabrics and produced here in North America. I am proud to be associated with this exciting and new Boulder, Colorado brand, “ said Daerr. In conjunction with the announcement, NINOX has released a short video on Justin Daerr which can be found on the NINOX website at www.ninox.cc/pages/daerr. NINOX is a designer menswear label based in Boulder, Colorado. NINOX was founded in 2014 to create sophisticated apparel using the finest materials and production. The vibrant energy of the city, the free spirit of the West, and the connection between the outdoors and everyday life are sources of inspiration for NINOX. NINOX apparel is available on the NINOX ecommerce website at www.ninox.cc and at specialty boutiques throughout North America. Justin was born and raised in Houston, Texas. Despite never participating in organized sports in high-school, Justin took up triathlons in college as a result of a bucket list challenge from a high school journal entry. Justin completed his first Ironman in 2001 with a time of 12:55 breaking his goal of 13 hours. Just two years later, Justin raced his second Ironman prior to graduating college in a time of 9:20. In 2007, Justin moved to Boulder, Colorado full-time to intensify and focus on his training. He has immersed himself in the sport and today stands with a personal best Iron-distance finishing time of 8:13, a personal best finish of 1st Overall (Ironman Boulder 2014), and a successful coaching enterprise. Justin spends his free time with his wife, Brooke, and his two cats, Lexi and Siggy. NINOX is a designer menswear label based in Boulder, Colorado. Announced today, NINOX releases their new Carson Chinos made from Schoeller dryskin fabric.